So much for my last promise about more postings, here I am again after another month of hiatus. I have more than a few makeup stuff to swatch and review, but today I'd like to talk about my color lens collection. I have spent my pretty pennies on color contacts since last October and now I have a quite clear idea about what I prefer and not. What I have discovered about myself in terms of wearing color contacts are..
* I like natural looking designs. * I look weird if I wear anything bigger than 14.2 mm in diameter. * I prefer a design that consists of 3 colors at least. * Green, Brown and Blue contacts look fine on me as long as the designs suit me. * I like comfortable lenses with higher water content. I still have twenty pairs in my collection after discarding some defective and those horrible looking (on me) ones, and I have grouped them in three. I absolutely adore this. I have them in Grey, Blue and Brown colors and probably buy the Green as well. Very natural and complex design. They are very comfortable, too. This is a relatively old design, but I have just discovered them and ended up really liking them. I have this in three different colors as well, Blue, Green and Honey. They are basically the same designs. Only difference is that Queen series is with four colors where Glamour has only three. They look quite natural but I don't think it is all that natural due to the spiky outer ring shape, which makes it more unique and interesting. Despite of the simple two-color design, this is the pair that I wear most often. It doesn't give any enlargement but it makes your eyes look interesting and clean. Remember I was madly looking for a black pair that would not make me look like an alien? This one doesn't enlarge at all, but the outer black rings make your eyes appear darker and clearer. This is indeed a very natural brown pair that matches my eye color perfectly. I find NEO Monet Brown gives me similar but more of a realistic brown effect(?). I am still enjoying this a lot, though. I have this in the Brown and Violet and really like the subtle big eye effect, but they always require more makeup and amplifying on other parts of face. In other words, they look better only if I wear falsies or dramatic colors. The Brown pair worked fine in my editorial red lip FOTD, but I am not very fond of Violet color although it isn't half bad. This is a more opaque version of the previous model, and I like them less because of that. This pair looks great indoors, though. This is a beautiful and natural design but sometimes it could look fake due to the dense color. I prefer the Shimmer series that has sheer colors compared to the Princess Eyes. This is probably the most unnatural design that I own, but I ended up really enjoying them. GEO lenses did not work for me generally speaking, but I find the World tri-color Series is very nice. Just that I have found better and more natural looking designs with three colors and the starburst pattern in this is a bit stark looking. This is a very pretty and feminine design, but boring and artificial in its own way. It has the usual "GEO lens feel", which isn't exactly the most comfortable feeling when I wear them, so I probably won't repurchase them. There is nothing wrong with this naturally pixelated design that gives you great definition to the eyes. I guess I just like other more natural looking designs. I find the rather thick limbal rings are not that attractive. They dried up pretty quickly, too. The obvious pixelated design and stark color and designs is not my cup of tea. I think this pair looked just terrible on me. Period. They were very uncomfortable so I discarded them soon after. I got them in Grey and Hazel from a company called Lensvillage, and it was the most unpleasant experience not only because they were defective and irritating to my eyes but also for their horrible customer service and pointless lies. All were discarded and Lensvillage did not see any more of my money after that. They were very comfortable and sheer color was quite natural, but I couldn't help but think I look like an alien. It was longer than I expected. 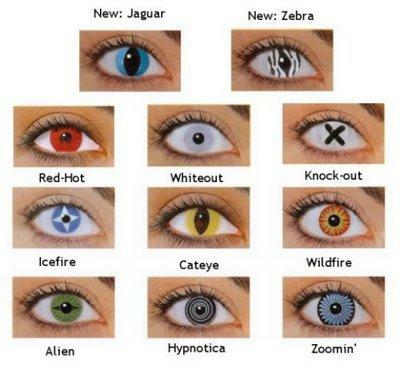 I hope my post was helpful for you to choose color contacts from different designs and colors. This is just my own opinion and preference, though. The shimmer/queen series are my ultimate favoutie. I really want to try those ones! I like the dali and celeb series, even though they're not your favourite! I can see why you have the ones under dislike, they're not horrible but not so natural like you prefer. I think the princess series is perfect for shoots! Very out-there. You have quite a collection Lena! It seems you really like NEO brand lenses; I see them being mentioned quite often in this post. yay!! ure back!! u have a nice collection!! they all look so good on u! Thankyou for all the reviews. ^^ You seem like you're a huge fan of Neo lenses, I've wanted to try them for ages, but they're one of the harder brands to come by! I really want a pair of violet ones! Where do you buy your lenses, Lena? i think you look great in them!i wish i had a pair..just to see how i look in them..preferably a green one! Thanks for your review, I found it very useful! I think the lenses from lensvillage were defected because a lense's shelf life is only up to 3 years. I like the Beaucon shimmer ones the best. They incorporate the most colors while looking the most natural. hugs, and have a great rest of the week!! Wow, you have quite the collection! I really like the DUEBA Big DM23 (aka Kirakira) on you. Hmm the hypnotica looks quite interesting if you ever try something that dramatic, keke. I'll definitely consult this post the next time I shop for circle lenses to try! i don't think it's possible to know things for sure until you actually try them on. i've seen your collection and i think bigger lenses look really nice on you. hi, Jas! thanks. it's good to be back. i try to wear glasses and conventional contacts whenever i can. i virtually don't feel any difference between some of the NEO lenses and my conventional ones, though. violet is a nice choice for dark brown eyes. do try them. i know they would look so good on you! thank you, Sara! the Shimmer green is the first real green pair i've tried and i was very happy! i was looking at the special designs and i wondered how i could see wearing them. lolz. they are very cool, though. That is an amazing collection but I have to say that the one with the "X" over the eye is a little creepy... probably good for Halloween or something though! hey lena! girl i haven't forgotten about! i've been blog breaking too. it's hard getting back into the swing of things. LOL i was on such a roll!!! hahaha I love the blue and green contacts on you. You wear them well. I don't know if I could get away with it or not. hope all is well. PLEASE hang in there with posting! Love to read your posts. What a collection! I've never tried circle/colour contact lenses but my pick would be the NEO shimmer series ones. It's so pretty! And the blue one looks surprisingly natural, love the blend of green/yellow! i really enjoy the shimmer series. the colors are vibrant but sheer which makes them look pretty on. I love the blue color! The first set is scary!!! I would love for you to visit my blog sometime!! hey Kim! how are you doing? i missed your posts, too. there are so many different ones out there indeed! nowadays they make everything so big, i feel like trying anything that big even if the colors and designs look interesting, though. I love how the Neo Princess ones looks on you!! Very very pretty! you are not making this easy for me! I really LOVE the Neo Cosmo in grey (which looks bluish) and in queen aqua and glamour brown on you! Oh wow! Never tried anything of the kind, but I like the light brown shades! Enter my beauty giveaway sponsored by Schwarzkopf! light brown ones kind grew on me. i didn't think i'd like them too much when i first started wearing these. you picked all my favorites, Laura! heh heh i was thinking the same thing! too many eyeballs. i am watching you, girly! I like the natural lenses, I tried the Dali Extra Brown; the color matches my eye color perfectly (I´ve light brown eyes ), but they look huge on me..now I´m really interesting in Dali Brown Sweet Chocolate (they appear a bit smaller)..
could you tell me, what you mean, when you said is something unnatural about their design? i am sorry i didn't see this comment earlier. i agree Dali Extra Brown looks huge on me. i think it's because it is one color design perhaps? Sweet Chocolate Brown is much much better and very natural indeed. i just feel a little bit that the outer rim could have been more dotted so it makes even more natural appearance, is all. it is definitely one of the most natural looking lenses out there for sure. I was wondering if you found the Neo Princess lenses comfortable? I love how you are honest about comfortability and can actually admit many lenses are uncomfortable. I have picky eyes and have only found one pair I can comfortably wear (a Vassen grey tri-tone). Like you, I found Geo lenses, especially Princess Mimi to be severely uncomfortable. Never tried Neo before though so I'd like to know what you think - I LOVe their color! i am very happy you find my post helpful! in my humble opinion, NEO lenses are far superior to GEO or other brands I've tried. different models feel a little different even they are all from NEO brand, but i've always find NEO lenses are so comfortable. i believe it is mainly due to the higher water content and they ARE thinner than other brands. hope you will find a very comfortable and pretty pair soon! Thank you for this blog post, it helped me sooo much when deciding which brown lens to go for. I eventually went with the Neo Shimmer Honey, which I absolutely love. I would just like to ask if there is a difference between Neo Queens and Glamours in terms of colour opacity? I'm glad you find this post helpful. Sorry I didn't see this comment right away. Hope you find this reply soon. if you dont mind, could you help me out please. between queen, glamour and shimmer, which is most natural on dark eyes? and is the difference between shimmer grey and shimmer honey enough to justify buying both pairs? I guess it all depends on the color choices. I find Glamour and Queen both look very natural since the colors are on the sheer side, but the spiky outer rings look less natural up close although they give this natural effects compared to those thick limbal rings. Actually, the shimmer series and the NEO Lucky Clover resemble most of human pupils, imho. They are all different but worth having at least one pair in each design. As to the color difference in Shimmer Grey and Honey, I think they are quite different. I'm leaning more toward the shimmer series now but I know I'll eventually buy the Queen and Glamour serious to try them out. Thank you, you and your blog post have been a MASSIVE help.